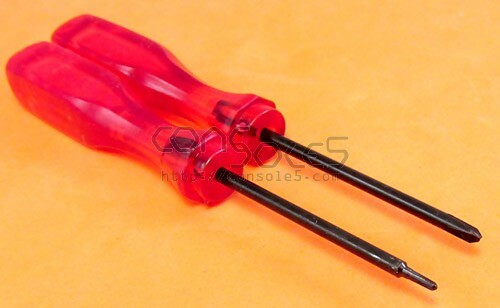 Miniature Triwing and Phillips Screwdriver Set for Nintendo consoles. 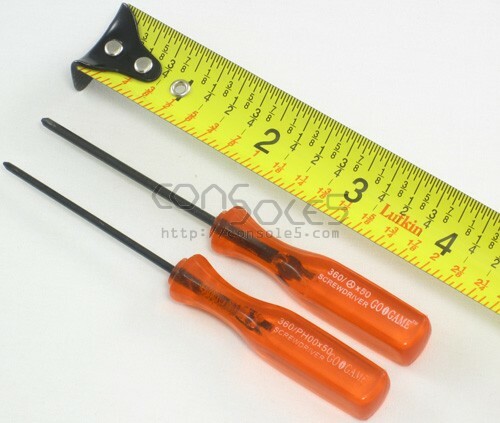 An inexpensive set of Triwing and Phillips screwdrivers. Triwing screws are found on Game Boy, DS, Wii, and other Nintendo consoles. The Phillips screwdriver is also the perfect size for the tiny screws found throughout the Sega CDX - all except the bottom four, which are slightly larger.